Keeping up-to-date on routine maintenance for your Honda Accord is simple thanks to the manufacturer-recommended maintenance schedule. Plus drivers of recent model years have the added luxury of the Maintenance Minder system, which monitors the performance of various components and alerts you when service is needed. In this article, well help drivers from Fountain Valley, Costa Mesa, and Newport Beach who don’t have the Maintenance Minder system or who prefer to rely on the traditional time/mileage intervals. If you have any questions about the maintenance information below, contact our service department a Norm Reeves Honda Huntington Beach. Every time the odometer passes another 10,000 miles or when a year goes by, you’ll need to schedule a service appointment for a tire rotation and an oil change. Depending on your driving conditions and other factors, you may need to have the oil changed more frequently. Every 20,000 miles, you’ll need to add a few more maintenance tasks to the oil change and tire rotation. That includes a full inspection of the front and rear brakes, the parking brake adjustment, suspension system, fluids, the exhaust system, fuel lines, and their connections, and a few other parts of your Honda Accord. At this service interval, the technicians will inspect the drive belt as well as replace the dust and pollen filter. You should also have the air cleaner element replace, rotate the tires, and change the oil. A relatively light service appointment is needed at the 50,000-mile mark, although your Honda Accord is halfway to 100,000 miles. At this point though, you’ll need to schedule a tire rotation and an oil change. Perhaps because the last service interval required minimal maintenance, the 60,000-mile interval calls for a thorough inspection. At this stage, your technician will inspect the drive belt and the braking system. They’ll also replace the dust and pollen filter as well as the air cleaner element. Add a tire rotation, an oil change, and a few more inspections and you’ll be back behind the wheel again. All that’s needed at this maintenance interval is an oil change and tire rotation. As your Honda Accord accrues more and more miles, you’ll need to make sure that you’re following the routine maintenance schedule to prevent unexpected malfunctions. At 80,000 miles, your car will likely need a tire rotation, oil change, and a thorough inspection as outlined at the 60,000-mile interval. Have the drive belt inspected, replace the dust and pollen filter, rotate the tires, change the oil, and replace the air cleaner element. Now that your Honda Accord has hit the 100,000-mile mark, its time to schedule a thorough service appointment. Your Honda technician will change the oil and rotate the tires as well as inspect various components of the car to make sure that everything is in good working order. 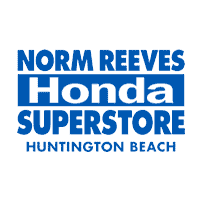 If you have any questions about this Honda Accord maintenance schedule, contact us at Norm Reeves Honda Huntington Beach. Proudly serving the communities of Fountain Valley, Costa Mesa, and Newport Beach, you can schedule a service appointment online now.